I’ve managed to read a couple of books in the past week and I’ve found some cool books to read with the kids, so it’s been a productive week, at least on the reading side. State of Wonder by Ann Patchett. This book was on NPR’s list of 2011 summer reads and I’m glad I followed their advice. A story mixing adventure, medical discoveries, ethics and hope, it’s hard to put the book down. I’m pleased to see the ending wraps things up and leaves some things unanswered, on purpose. This would be a great book to submit for a book club. One Day in the Life of Ivan Denisovich by Aleksandr Solzhenitsyn. A short, simple story about life in a Soviet Gulag in the middle of winter and sub-zero temperatures of Siberia. Solzhenitsyn drew from his own experience when imprisoned for 10 years in a gulag to write his first novel. There’s a lot to learn about this period in history, as well as human nature and our spirit of survival. I think I would have frozen to death on my very first day. Seriously. Me Talk Pretty One Day by David Sedaris. It’s about time for me to read a funny book, and I think this one just may do the trick! We’ve on a David Shannon streak and we all both his hilarious books about David’s (mis)adventures. 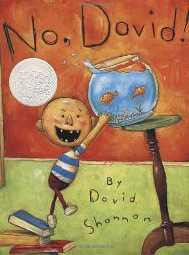 I recommend David’s stories to all kids from 2 to 6 – they are laugh out loud funny! Mrs. McNosh and the Great Big Squash by Sarah Weeks – Mrs McNosh plants a squash seed that instantly starts to grow at an amazing speed. I want her seeds for my garden! A Pirate’s Guide to First Grade by James Preller – a great book for boys who are obsessed with pirates. Perfect, I have two of them at home. Rude Giants by Audrey Wood. A great lesson on teaching good manners and what good can come out of it. We have sooooo many books in our pile still to read, and more to pick up at the library, I’m not sure what the kids will want to read next. But I’ll make sure I share with you the highlights next week. September has been a very hectic month so far and it’s been hard to find time for myself to read, but I’m taking it one day at a time. One Day in the Life of Ivan Denisovich by Aleksandr Solzhenitsyn. We’ve all heard about life in the Siberian gulags but reading a novel based on the author’s personal experience is something else. Good Enough to Eat by Stacy Ballis, my book club’s September selection. Definitely a chick lit book, entertaining enough but I didn’t like the ending, as I felt it was the easy way out. You know the way, when authors are not sure how to make it a good ending, so they leave things hanging, leaving it up to your imagination to figure it out. There were also a good number of characters and I don’t think the author spent enough time on any of them to make me care enough about them. There’s an impressive list of recipes at the end of the book. Each recipe has a “normal” version and a “healthier” version you can choose instead. A novel and a cookbook in one, who knew? I have three or four books waiting for me on the bookshelf. I think my next pick will be whichever needs to go back to the library first, as I have a feeling I won’t be able to return any of them when their due date comes up. – Yuck! That’s Not a Monster! by Angela McAllister. Super cute story about a monster couple who has three new monster babies, one of which looks very cute rather than monstrous. A good lesson on being different and what good can come out of it. 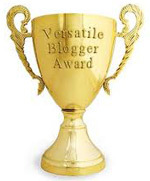 – Termite Tales by Kathy Caple. This book is part of the “Brand New Readers” series and I love it! My five year old picks it up and reads the whole thing out loud to his brother every day. It’s definitely helping with his reading skills and giving him a lot of confidence. I highly recommend it! Besides the stories are very funny. Who would take a termite on a canoe ride, when the thing is made out of wood? I’m trying to get more of the Brand New Readers series to help my son with his reading skills. I also have requested a number of storybooks but I’m not sure what will be coming in when. Getting books from the library always add an element of surprise! Tagged Brand New Readers books, Children's books, Good Enough to Eat by Stacy Ballis, kids, One Day in the Life of Ivan Denisovich, Pup and Hound, reading, www wednesdays, Yuck! That's Not a Monster! It’s taken me way too long to find the time to write this update but I’m finally doing it! Since this is an August update, I’m using August 31 as my latest update date for tracking purposes, even though I’ve managed to get a few more things done so far this September. With the kids being out of school two weeks in August, picking up a new client and working on a large writing project for another, August hasn’t been a very productive month. But this is the very reason why I love this “101 in 1001” challenge. 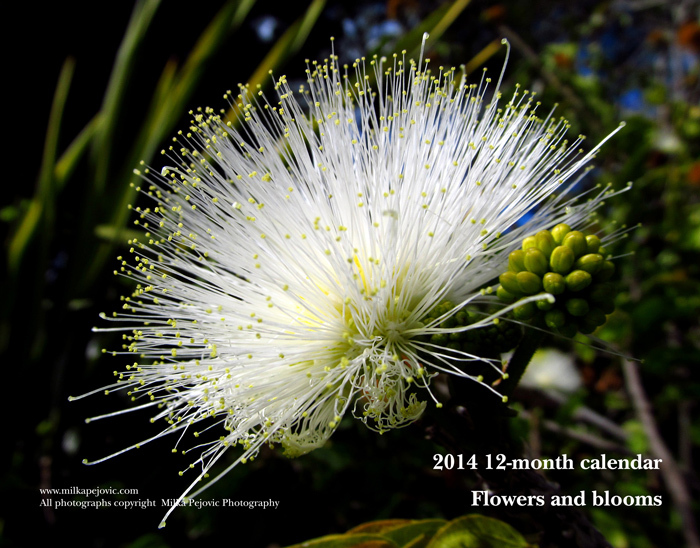 Since I have 1001 days to get everything done, I don’t beat yourself up if not much happens every single month. We’ve got quite a few newcomers to the challenge. Feel free to visit them and view their own 101 in 1001 lists by clicking on the links in my right sidebar. Welcome, everyone! I joined my first book club in August and attended my first meeting. It felt great to be able to discuss a book I’ve read with other people. Most of the time, nobody else is reading the same books I am at the same time so I’m glad I’ve made this commitment. I’ve still been able to read a new book almost every week, along with many new books with my kids. Joining a book club was the natural next step. I took my kids to Balboa Park recently for a museum visit, where I ended up spotting typos that won’t be fixed. Afterwards we sat down on the lawn in the park for a picnic. This was a good test to see how the kids would handle a different setting for lunch. Let’s just say they ate until they were not starving anymore, then stood up and started walking around. This tells me I’ll need to find a quieter, less distracting spot for our next picnic. On the health side, I’ve been pretty bad getting enough sleep at night, taking vitamins every day and limiting my Diet Coke and caffeine intake (to compensate for the lack of sleep). Now that we’re starting a new routine with kids in school, I hope I can find my own routine and schedule to make these things a priority. As I said earlier I’ve taking a writing class but since I didn’t finish it by the end of August, I’ll cross it off in September. I really hope September allows me to accomplish a few more tasks. So far, things have been pretty chaotic this month, so I can’t tell for sure… Isn’t it what life is all about? I’m working on a way, way overdue “101 in 1001” August update but in the meantime, here’s my WWW Wednesdays update, with lots of good reading this past week. 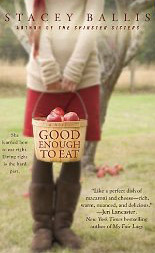 Good Enough to Eat by Stacy Ballis, my book club’s September selection. Definitely another chick lit book I probably wouldn’t pick for myself, but it’s an easy read and entertaining enough. The Man in the Rockefeller Suit by Mark Seal. Imagine mixing The Talented Mr Ripley and Catch Me If You Can, including the false identities, the money stealing, the power of persuasion and even the murders… That’s what The Man in the Rockefeller Suit is, and the most amazing thing is, this is a TRUE story. If this guy hadn’t kipnapped his own daughter a couple of years ago and been a little careless, he’d still be on the run pretending to be heir to another famous, super rich family. It’s hard to believe he managed to con so many people in almost 30 years. It makes you wonder how gullible we can be when someone tells us a story that seems plausible enough. I’ve been wanting to read A Day in the Life of Ivan Denisovich by Alexander Solzhenitsyn for probably 20 years and it’s now physically sitting on my bookshelf, so it’s next on my list! 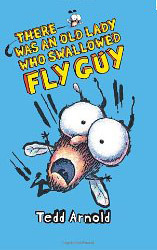 – Fly High, Fly Guy! – Dragon Stew by Steve Smallman – when Vikings get bored and decide to find a dragon to make some stew, they may meet more than what they were looking for… Funny illustrations and dialogs. – A House for Hermit Crab by Eric Carle – a cute story of what it takes to make a house your home. We have a few books on hold at the library but feel free to suggest what I should add to our reading list.